Oh, I love this topic! There are sooo many places that I could list. (In fact, I could probably come up with just 10 places in Middle-Earth alone, but that’s a list for another time.) 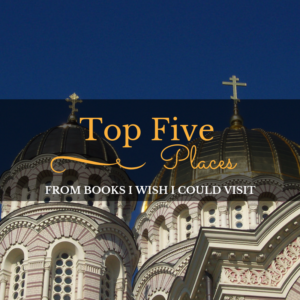 Here are simply a handful of places from books I wish I could visit. 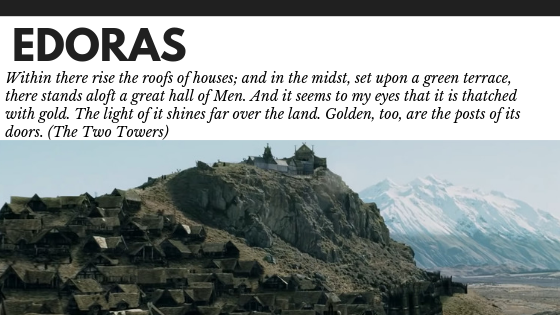 Middle Earth – Edoras – The Lord of the Rings by J.R.R. Tolkien – I would love to visit the golden hall as the Rohirrim are by far the most interesting of the races of men. Middle Earth – Rivendell – The Lord of the Rings by J.R.R. Tolkien – Since I am named after one of the Rivendell elves I would like to visit the home of Elrond too. Plus the movie really made Rivedell seem like a paradise. 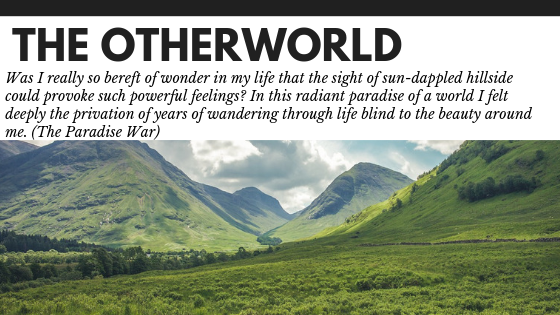 The Otherworld – The Song of Albion Trilogy by Stephen R Lawhead – Ever since I was a teenager the otherworld as described in the Lawhead books has captured my imagination. Imagine a place so beautiful that you would weep to see it. Os Alta– Shadow and Bone by Leigh Bardugo – Admittedly the fact that I’m reading the series right now might have something to do with this. 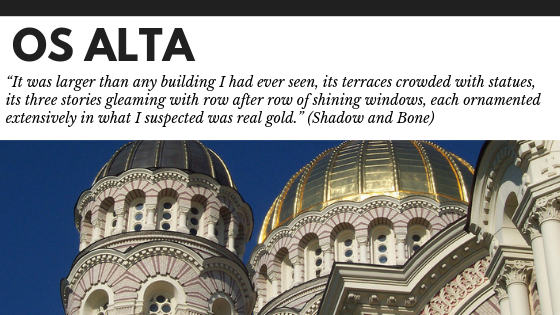 But the shining city on a hill with it’s golden domes just sounds intriguing. 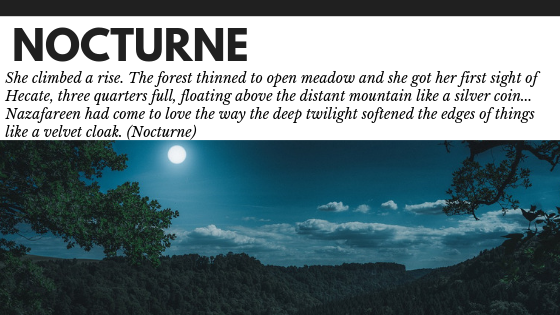 Nocturne – The Fourth Talisman Series by Kat Ross – In this world of Solis/Nocturne half the world is always in day the other in night. The deep night forests of Nocturne sound stunning and peaceful. Okay, I only had time to do five, but there are more, many, many more I could choose. I almost added the Oasis from Ready Player One and Meridian from the comic books of the same name. If you could travel to a place from a book where would you go? Well, I haven’t visited any places other than the LOTR ones, I mean virtually Seems like you are a huge LOTR fan. 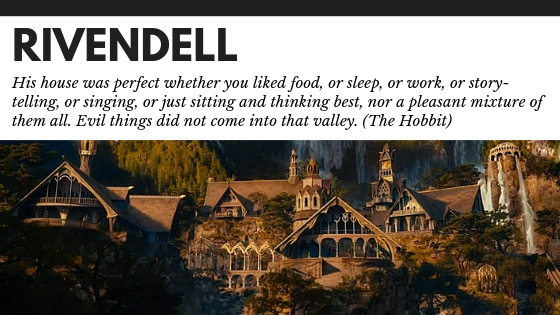 Rivendell was on my list this week, too! Good choice.